John de Lange is head of well engineering for BG Group. DC: What are some of the most critical issues facing the drilling and completion industry today pertaining to technology? De Lange: Looking at technology and the world demand for oil and gas, I see a couple of areas that haven’t been explored much and where there is potential. First, there is deepwater and ultra-deepwater. Secondly, there’s high-pressure, high-temperature, which is a very difficult domain and not every company has the expertise to drill in. And thirdly, there are the unconventionals – coal gas, shale gas and tight rock reservoirs. These are all places the industry has shied away from because previously they have not been economical to explore. 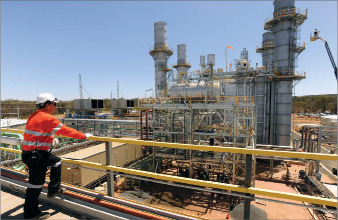 BG Group entered Australia in early 2008 via an alliance with Queensland Gas Co to develop coal seam gas acreage and construct a LNG liquefaction plant. 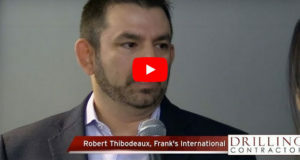 However, by deploying newer technologies in those areas, new fields will be opened up that the industry hasn’t touched or didn’t know about – in places we hadn’t looked because we didn’t have the means of drilling economically. For example, shale gas, which has predominantly kicked off in the United States, was initially seen as a source rock. The moment people found ways of producing it, there was suddenly a massive shift in the US gas market. We are now looking at it as a significant source of gas because it is economical to produce. There are many other areas in the world where there are potential similar opportunities. One important factor in developing shales is the existence of a gas pipeline infrastructure. In the US, because this infrastructure is in place, shale gas has taken off very quickly. In other places, a lot more money will have to be spent building pipeline networks. Nevertheless, the possibility exists, and it’s a possibility many people hadn’t heard of just five years ago. BG Group is now looking at unconventionals. We have joined up with EXCO Resources, and there are sizable opportunities in the United States and elsewhere. We also have a large coal seam gas operation in Australia. DC: You mentioned HPHT – what are some of the challenges there? De Lange: In the HPHT arena, there are many fields that haven’t been touched because they are either very high in temperature or very high in pressure. A robust technology development programme needs to be in place before entering the high-pressure, high-temperature world. HPHT needs to be cost-efficient to develop, and it is an area where it is easy to make mistakes if you don’t know what you’re doing. Discovering HPHT fields is one thing; producing them is another. BG Group has quite some expertise now in HPHT drilling. 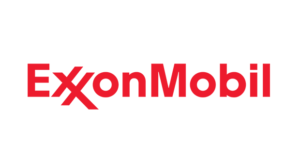 We have experience in the Central North Sea, and we are currently drilling a well in Norway. HPHT will be an important area in our future. 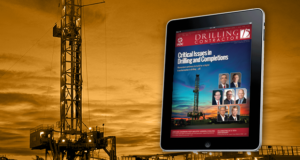 DC: Are completion challenges greater than drilling challenges in HPHT fields? De Lange: The tools that can withstand the temperature in wells where it can reach over 200°C or 400°F are not readily available. Drilling the well may be possible, but logging it to see what you have got may not be. With current logging tools, electronics can easily be burnt or damaged. Additionally, during production, there are high temperatures at the surface and significant temperature fluctuations during shut-ins. The appropriate Christmas trees and wellheads that can deal with those kinds of pressures and temperatures are needed, but this really is cutting-edge technology. BG Group has one of the few 20,000-psi wellheads available to us to drill those wells. Not many operators have that equipment available to them. DC: Can you tell me any more details on the Norway well you mentioned? De Lange: This is Mandarin exploration well. Because it’s an exploration well, there is very little that we can say until it is finished. It is worth remembering that these wells are costly and their durations can be in the order of six months. Not many companies want to spend that much money on one complex well. DC: Six months does seem like a long time just for one well. De Lange: For HPHT, six months is not bad. I’ve seen proposals where companies say they need 300 days to drill a well because it’s so deep. These wells are typically over 6,000 meters in depth, and the pressures are very high because the rocks are so hard. DC: Where else is BG Group drilling HPHT wells? De Lange: The UK and Tunisia. We have drilled 17 high-temperature wells in the Miskar Field in Tunisia. Also in Trinidad and Tobago we have some high-pressure wells, so in a number of places around the world, BG Group is moving forward. DC: You also mentioned deepwater and ultra-deepwater. De Lange: Drilling a well in 2,500 to 3,000 meters water depth requires good technologies to be able to sustain the water pressures. Divers can’t be sent down so everything has to work the moment it’s loaded onto the seabed. Deepwater is an area where a lot of operators, including BG Group, are building up more acreage. BG Group is working closely with Petrobras in Brazil on the Tupi Field. We will drill a large number of wells here because it’s a massive field. 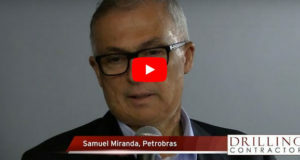 There’s keen interest by Petrobras and ourselves to see if we can push some of the emerging technologies to drill wells more efficiently. DC: Emerging technologies like what? De Lange: There is riserless mud recovery. Basically, the well is drilled initially without a BOP or riser in place. A separate pumping system, away from the wellbore, sits on the seabed and pumps the mud and cuttings back to the rig and the drill pipe rotates in the sea water. The benefit is being able to drill with mud in the hole as opposed drilling with sea water. Mud is a better inhibitor of clays than sea water. 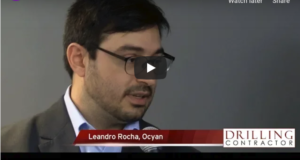 Currently it can be used down to 1,500 meters water depth, but we want to develop it so it can be used in the water depths in Brazil, which are 2,200 meters to 2,500 meters. The technology needs to be expanded with more pumping capability, etc. 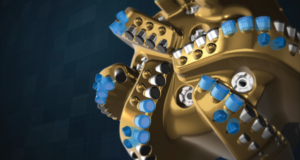 Another development is further riserless drilling, which means that instead of running the riser, drilling can continue deeper with the same sort of system. DC: What is needed to achieve that? De Lange: I think what the industry really needs is a bit of a shift in paradigm. A new paradigm that says, “I don’t have to drill water, and if it’s deepwater, I get the water for free.” Water depth should be seen as a benefit instead of a problem. The pipe can be made up simultaneous to the drilling process and can be moved into the well by moving the drillship sideways. Normally, everything run in the hole needs to come in via the rotary table on the drill floor. Not having to do so would save a lot of time. DC: Are there water-depth limitations? De Lange: Basically any water depth is possible. For instance, if the water depth is greater than the casing or liner sections to be used, the full casing string can be made in the water, moved sideways and lowered into the well. That’s smart because deepwater spread rates cost about $1 million a day – that means $10 per second. If you can save time, you save money. DC: Considering the development and potential of these emerging technologies, what are the rig capabilities that will be required? De Lange: The industry is moving into bigger and bigger drillships. Rig rates are astronomical, and new units coming out of the shipyard might cost $800 million to $1 billion to build. But, I question the need to go bigger all the time. These rigs have the capability to drill any possible well type. For example, they come with 15,000-psi BOP equipment designed for high-pressure, high-temperature wells. However, a lot of deepwater wells are not high-pressure, high-temperature wells. They are just normal-pressure, normal-temperature wells. Yet the equipment needs to be paid for. Drilling contractors have units that have multiple capabilities, but are often over-specified for what operators need. The riser is one of the heaviest pieces of equipment needed to hang underneath the rig. The whole design of the drillship depends on the size of the riser. If you don’t need the riser, you don’t need such a big rig. Hence costs could be significantly lowered. Maybe the whole well cannot be drilled without a riser because there is a need to drill through the reservoir, and for well control purposes, a BOP and riser is needed. However, because the hole size through the reservoir is typically smaller, using a smaller riser, which is not so heavy, may be possible. 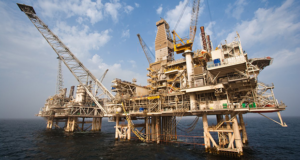 Those are technologies that can make a total shift in the way the industry constructs deepwater wells. 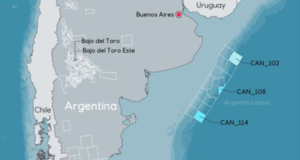 BG Group has a significant deepwater portfolio, and we are keen to see those technologies develop. DC: You mentioned that rig rates have reached “astronomical” levels. What is your outlook for dayrates in the near future? De Lange: The rig market is changing and the dayrates for land rigs in Canada and the US are very low. But we haven’t seen any weakening of the deepwater rig market. There are more rigs coming to the market, but most of them have already been contracted. Only a few haven’t picked up a contract yet, and they cost a lot of money to build, so the rig rates will still stay high. As long as oil prices remains high, everything remains economical. But if the oil price comes down significantly, there could be pressure on the economics of deepwater projects. 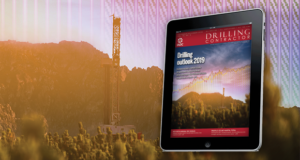 Lots of drilling companies are building bigger and bigger rigs, but with new technologies like riserless drilling, the requirements for these units might suddenly diminish. DC: What are some challenges you see with people and HSE? De Lange: All the new drilling units will require big crews, so the industry as a whole is still challenged with finding experienced people, as well as experts who can help develop these emerging technologies. The reduced numbers of working land rigs and jackups have helped the new rigs to be staffed. If demand for oil suddenly goes up again, the industry will see the same situation as in 2007 where there were lots of greenhats on rigs. That resulted in a reduced safety performance across the industry. Safety is improving a little bit now, but it’s still plateauing, which is a great concern. The more automation that is brought in, the lower the chance there is of people getting hurt. That would be my preference. I’ve helped design rigs with fewer people on the rig floor, and those rigs have very good safety records. DC: Is there enough automation on the newbuilds coming out now? De Lange: It varies. With the drillships, there is. But I still see a lot of new jackups in a conventional state. 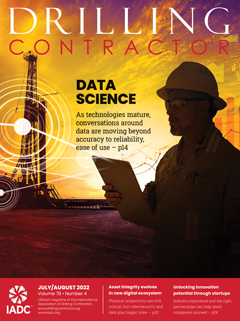 There is a cost to automation, and somehow drilling contractors do not want to do that unless the operator specifically requests it. BG Group recently took over the Everest platform from BP and is studying the possibility of deploying rack-and-pinion rigs there to lower overall costs. DC: What are some technological breakthroughs or advances BG Group has made in the past year? De Lange: BG Group has used some of the more novel technologies that have come to the market. One is continuous circulation, which means that instead of switching off the pumps the moment a connection is made, there is a hose that is connected to the drill pipe that allows circulation to continue. It basically means that bottomhole pressure conditions remain stable as the well is drilled. There are HPHT and deepwater wells where the drilling margin between the mud weight and the formation strength is extremely small, and a change in circulating speed can frac the formation. If those fluctuations in overall pressure can be prevented, more stable drilling conditions can be created. This is a relatively new technology, and BG Group uses it in combination with managed pressure drilling. DC: Have you been able to deploy MPD for difficult deepwater wells from floaters? De Lange: Not yet. That’s what BG Group is looking at. We have used it in combination with continuous circulation on one deepwater well. And it worked. But typically we’ve used it on jackups because it’s simpler. DC: Is that a capability you’d like to see get fully developed? De Lange: I think the industry needs to develop that. It’s a paradigm in the industry that we always use overbalanced mud to drill our wells. But if this equipment is used, a well can be drilled at balance or slightly underbalanced, and would show the reservoir characteristics whilst drilling. Normally a liner is run, and the well is completed before it is known how much it will produce. DC: What keeps the industry from doing that? De Lange: The equipment needed to drill a well underbalanced is sizable and isn’t part of the standard rig package. A lot of time is spent building it up and placing a well test kit on the rig. The costs are very high. If a standard well test kit or underbalanced kit were available as part of the normal rig package, they could be deployed in every well. MPD and riserless drilling will provide huge improvements in efficiency. BG Group is trying to steer these technologies and would be keen to use them as soon as they are available. DC: How are you working to improve performance and have you seen any major achievements in the last year? De Lange: BG Group has drilled a few record wells using Rushmore benchmarking, and we set benchmarking targets for the drilling rigs working with us. 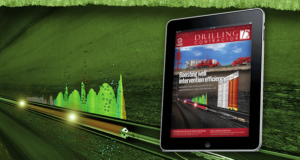 We determine what a record well looks like and encourage the well engineers to design for it. It is working very well for us. We have drilled a number of record wells in a number of places where we operate. DC: How does this benchmarking work? De Lange: Performance has to be well-embedded in an organization. In some organizations, you hear people say, “A well takes as long as it takes.” I don’t want to hear that at BG Group. We’re always trying to pursue a top-quarter well, a well drilled in the best 25% of the area. We look at what other operators are doing and try to learn from them. If people are focused on their jobs and if they have the right equipment, it’s surprising how fast things can go. DC: Can you give an example of a record well in 2009? De Lange: BG Group has made a significant shift in the number of top-quarter wells drilled around the world – for example, in Brazil, Norway, India, UK, Kazakhstan and Trinidad and Tobago. 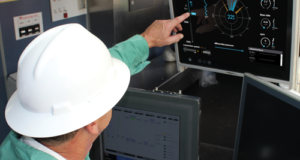 I want people to know what good performance looks like, and support them by getting the right equipment and the right people onboard so they feel they can achieve top-quartile or record wells. DC: Quite a lot of fields around the world are reaching maturity. How is BG Group working to maximize your mature fields? De Lange: In the North Sea, BG Group recently took over the Everest and Lomond platforms from BP, and we are looking at the deployment of small, cheaper modular drilling units that could fit on a platform. Typically platform wells are drilled with a jackup rig next to it. We now want to see whether we can drill wells from a platform with a modern rack-and-pinion hydraulic rig. A couple of companies have built smaller rack-and-pinion rigs that are containerized, something like 30 containers. You can build a whole rig from those 30 containers, and it is all within the weight limitations of the cranes offshore. 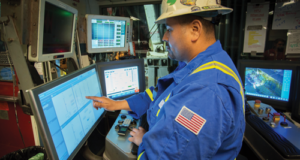 DC: Will these rigs be able to provide the drilling capabilities that you need? De Lange: They typically have a lifting capability of 350 metric tons, which means slimmer wells can be drilled up to 3,000 meters to 3,500 meters deep and workovers can be conducted. DC: And you’re putting these rigs on the Everest and Lomond platforms? De Lange: We’re studying it. We are undecided because the studies have not been completed. But we see this as a way of drilling cheaper wells. 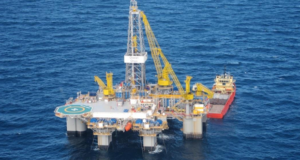 The rate for a rig like that is probably in the order of US$80,000, compared with a jackup rate of US$180,000. Also, these units are basically designed to operate with approximately five people. Of course, there will other additional personnel, but anything between 25-30 people would be enough to drill the whole well. That’s significantly less than the 70 to 90 people normally onboard a typical jackup. They cannot do everything a big jackup can do, but it might be possible to get wells in the ground cheaper. DC: As head of well engineering for BG Group, what are some of the biggest challenges you face? De Lange: How to shift people’s mind-set. Especially in the drilling world, people often have strong ideas about what is possible and what isn’t possible. But I have learned that the creativity of the mind is quite amazing – if you are willing to explore, try new things and to talk to people who bring new things to the table. The drilling and completion industry doesn’t change very quickly because there are cost implications. At the same time, it is often used as an excuse not to make any changes. If I can change the mind-set of people, I’m always amazed at what can happen. Often individuals can exceed what they thought was possible, as well as exceed the possibilities of the new technologies. That releases so much energy and so many improvements. HSE is also a big challenge for me, and that is also about changing people’s mind-set. If people want to be safe for themselves, not because their boss tells them to, then they will be more careful in what they do. To me, safety is a state of being. If I want to be safe at all times, then my mind, my actions, my thinking will be aligned with being safe. Safety is a choice. If I remind myself all the time that I want to be safe, then my body will do it by itself. For instance, if wearing a seatbelt has become a habit, your body will tell you if you forget to put it on. Because you have become so accustomed to it, if it isn’t there, you notice immediately. If everyone treats safety like that, then safety will come so naturally that when things are unsafe, people will notice it immediately. On the technical side, well engineering is an intriguing business to me. People don’t realize how much engineering goes into drilling a deepwater well. If something goes wrong in well engineering, we all stare at the small black hole beneath the rotary table. We have to figure out what has happened. You need to have people who have high analytical skills who can think quickly about what can and could’ve happened, people who can work under tough conditions. I always have a great admiration of people who are able to deliver wells under those circumstances.